I'm honestly thinking of coming back to Essential for this. It looks great. So, any chance Alexa will come to our other Essential phones??? I love my white one, but I want some Alexa love! Unless someone want to trade me, too! Do you have a case on it? Wasn't planning on getting the other colors but this one is tempting. Still reluctant to get rid of my pure white since it has no issues. Might just get a matte black dbrand. Doubt it. I would suspect something like Alexa needs to be baked into the OS and it looks like this one is a special run for Amazon only. Looks like it comes with the Alexa app pre-installed. Essential even commented somewhere that the app could be completely uninstalled (ie not just disabled). Seems easy enough to replicate - install the Alexa app. Caveat Emptor: default Alexa app still isn't voice assistant capable - yet. Just got my pure white and loving it. I do not need Alexa and putting a case on anyway. Not necessarily. They could also make it 'removable' and simply hide it from the Launcher. I guess we will have to see once people root it and start playing around with the apk. If it is as you say then I agree there should be no issue installing that same app on any Essential phone. Just comes preinstalled with Alexa app which you can uninstall. Just ordered the Halo Grey on Prime this morning to replace my Nexus 6. 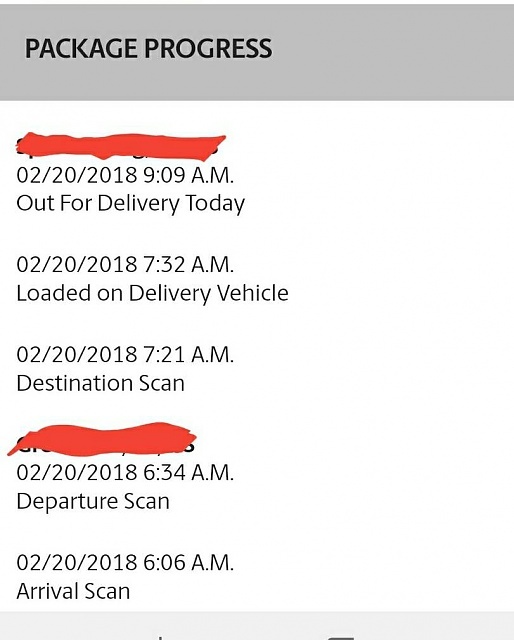 I saw someone on Reddit contacted customer support about the late March delivery date. They said the delivery date should update or you can cancel then reorder to make sure you get it delivered within normal time frame. I just ordered and scheduled delivery is Thursday. I just spoke to Amazon and should be receiving the phone no later than 2/22. Now I will say, that I did also get overnight shipping too. Looks like Alexa doesn't come pre-installed. It installs after device setup but you can cancel. Got mine today. It's a nice device. Having go get used to it. Coming from a note 8. Wonder if they'll make an update to where the fingerprint scanner will be used to bring down the notification panel at some point. That's already an option in gestures.